Westmead Hospital staff specialist and anaesthetist Dr Giles Miller supports the REACH program. 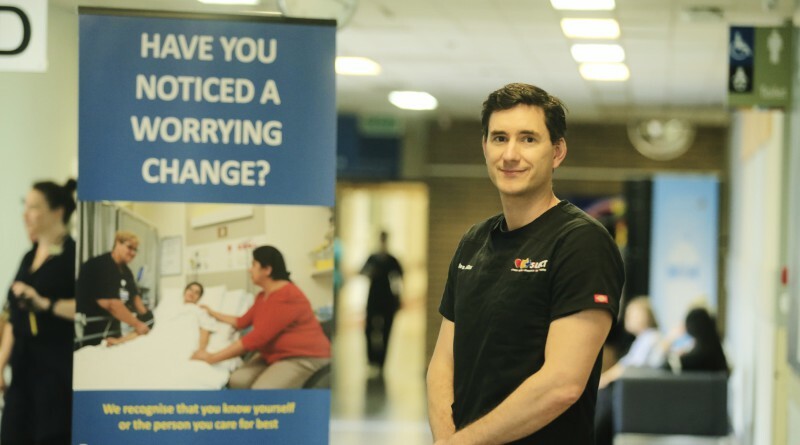 Westmead Hospital anaesthetist Dr Giles Miller is encouraging patients, family members and carers to speak up if they notice their loved one’s health deteriorating while they are in hospital. Dr Miller has worked at Westmead Hospital for nine years in the anaesthetist department and has put many patients under anaesthesia before they undergo surgery. “I support the REACH program as it helps patients and their families to talk with staff if they are worried the patient is becoming more unwell,” Dr Miller said. An example of a situation when a family raised concerns about a patient’s health was last year when a young female presented to Westmead Hospital with her mother. The daughter had one kidney and was experiencing inflammation possibly due to an infection and was treated in the emergency department with IV fluids and antibiotics. After the young woman was admitted to the ward her mum became concerned that her daughter needed her next lot of antibiotics. She called the nurse and outlined her concerns and requested a medical review. The nurse told her that she had made numerous attempts to call the doctor without success before she requested a REACH call. The nurse took the mother to the ward phone and she spoke to the switchboard operator who confirmed that she wanted to make a REACH call. In a short space of time an emergency response team reviewed the patient and antibiotics were given to the patient and the medical doctor spoke with the mum. You can find out more information about REACH from our staff, banners and posters within our hospitals. Westmead Hospital staff specialist and anaesthetist Dr Giles Miller.